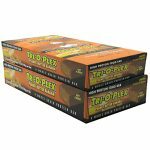 The price of 2 boxes of chef Jay’s Protein Bars (24 Bars total) drops from $33.99 to $16.99 at Supplement Hunt when you use coupon ‘chefjay24′ during checkout. This is currently the best total price we could find by $24. 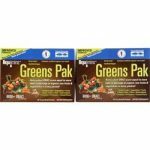 Buy one Trace Minerals Research Greens Pak (30/pk) & get one free for $21.99 at All Star Health. Add one to your cart. This is the best total price we saw by at least $32.